On Friday, November 11, Reddit / Imgur user Death_Cog_Unit posted new photos of what is purported to be SpaceX’s Interplanetary Transport System (ITS) – formerly Mars Colonial Transporter (MCT) – liquid oxygen tank (LOX) being loaded / unloaded on a barge in Anacortes, Washington. The link to the photos is here. 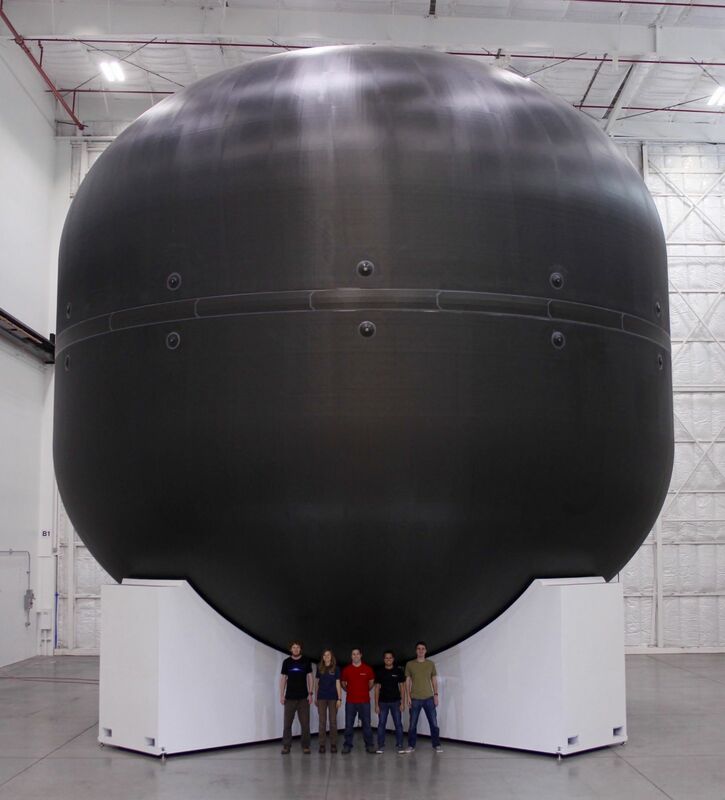 SpaceX’s CEO, Elon Musk, revealed a photo of a similar (probably the same) tank – a developmental LOX tank – during a presentation, on Sept. 27, at the 67th International Astronomical Congress (IAC) in Guadalajara, Mexico. The tank is made of carbon fiber, is approximately 12 meters in diameter, and will ultimately be used in the ITS upper stage. It is assumed that the testing is being conducted on an “ocean barge” for safety reasons. For video (containing strong language) of the loading / unloading, click here. You know how I know that photo was taken from inside the hanger in Anacortes Washington? Google Maps Pacific Marine Center in Anacortes WA and look at the interior photo of “Pacific Marine Center” The interiors are identical, the platform holding the LOX Tank above is identical to the one seen in videos of them moving the tank out to the barge. Elon making a killing …thanks to you the taxpayers ! The Article that you are referencing has been proven to be highly inaccurate and very misleading. It’s amazing how much SpaceX is progressing with the R&D of the ITs already. It wasn’t long ago they announced the ITS at the thing in Guadalajara Mexico & now they are already starting to test hardware. This particular fuel tank will not be the same one used on the real ITS spacecraft. This one is just a tech demonstrator. 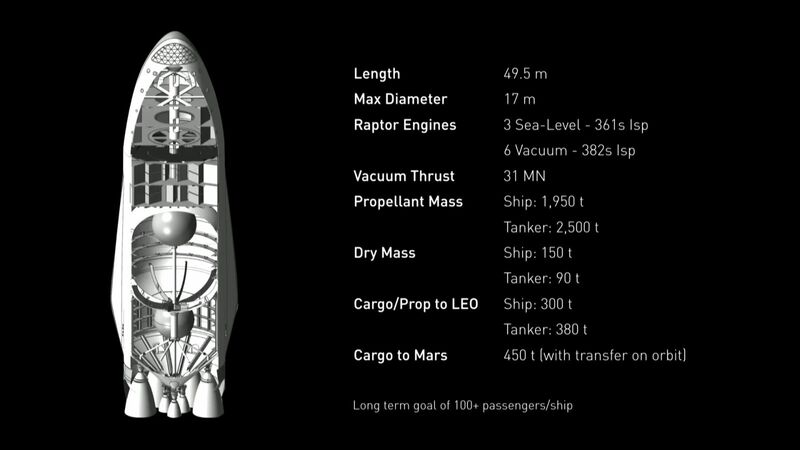 The real ITS LOX tank is said to be taller than this one as allot of fuel will be needed for the push to Mars as well as the landing & return to Earth if they plan on doing it all with one spacecraft. Also they have to launch a Red Dragon to Mars first before fabrication of any ITS spacecraft prototype is approved as Red Dragon will demonstrate landing techniques used on ITS. They haven’t even tested the ITS booster stage the BFR yet. That could happen by the 2020’s if they start building & testing the BFR booster now. I’m sure it can be done by the early 2020’s. Booster fabrication would cost between 100 million & 200 million dollars tops not including R&D cost which is easily achievable by SpaceX as SpaceX is making billions of dollars per year now.